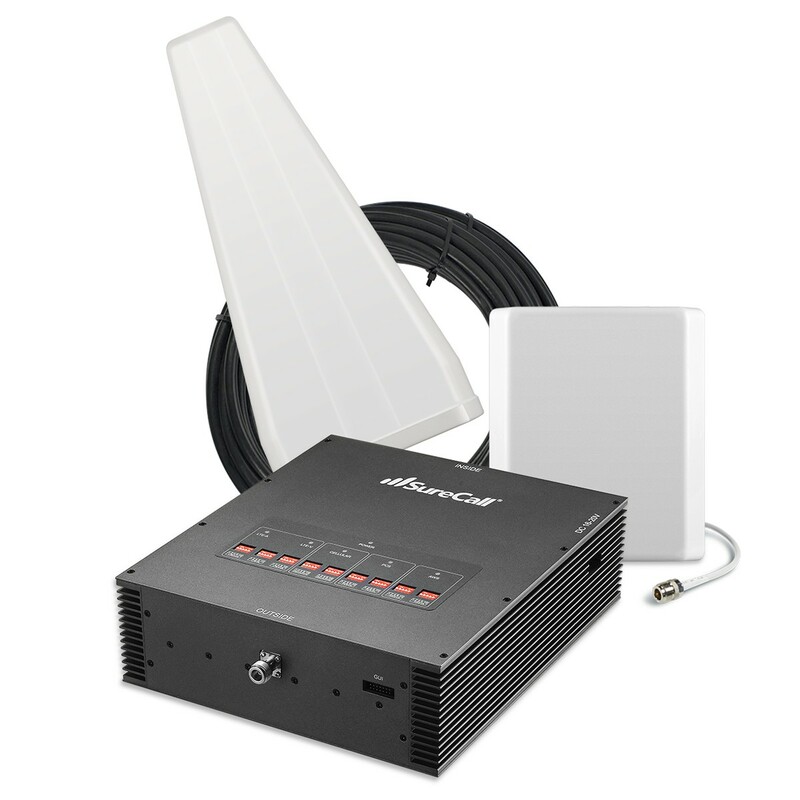 SureCall [Fusion5X] Voice, Text & 4G LTE Cell Phone Signal Booster Omni/ 4 Dome Kit [Large Buildings up to 20,000 sq ft] @ AccessoryGeeks.com w/ Free Shipping! 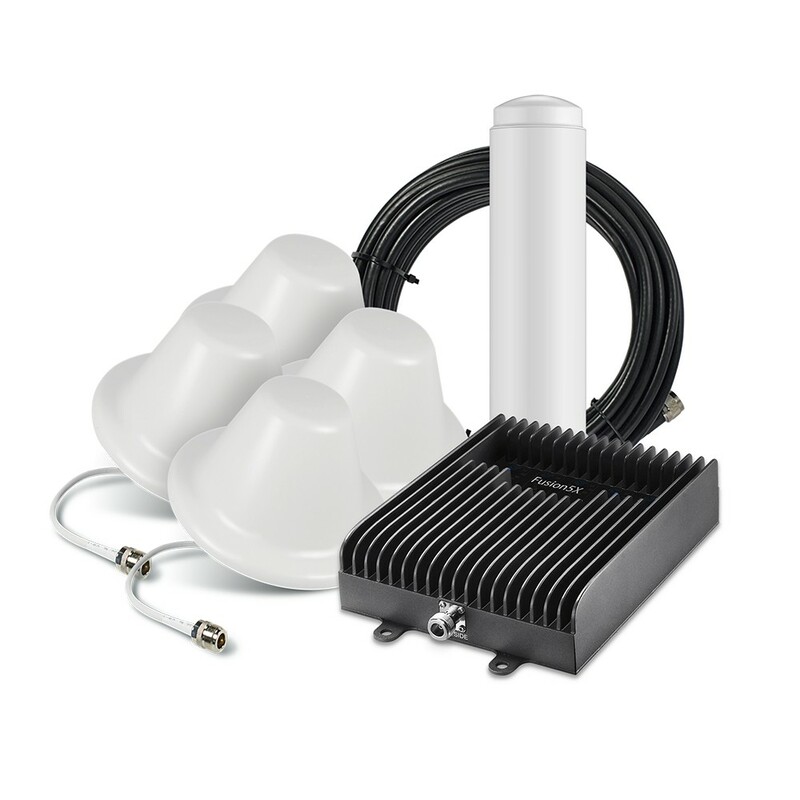 SureCall Fusion 5X Voice, 3G, 4G, LTE Home & Building signal booster kit with an omni-directional outdoor antenna and 4 indoor Dome antennas boost reception to up to 20,000 sq. 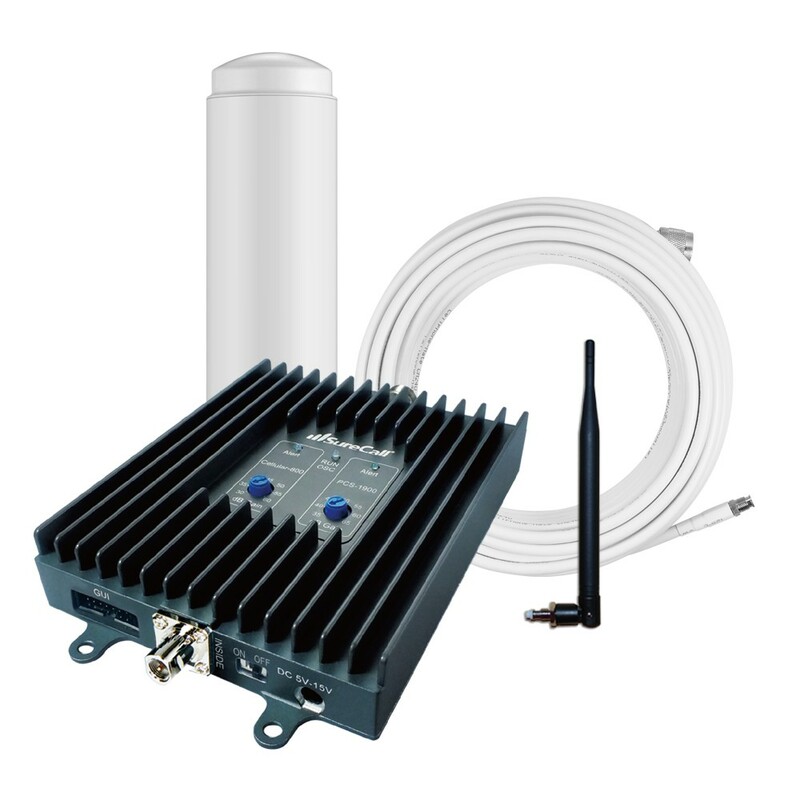 ft.
SureCall Fusion 5X Voice, 3G, 4G, LTE Home & Building signal booster kit with an omni-directional outdoor antenna and 4 indoor Dome antennas boost reception to up to 20,000 sq. ft. SureCall Fusion5X's omnidirectional exterior antenna draws signal from all directions, and from all United States and Canadian carrier cell towers in the vicinity. 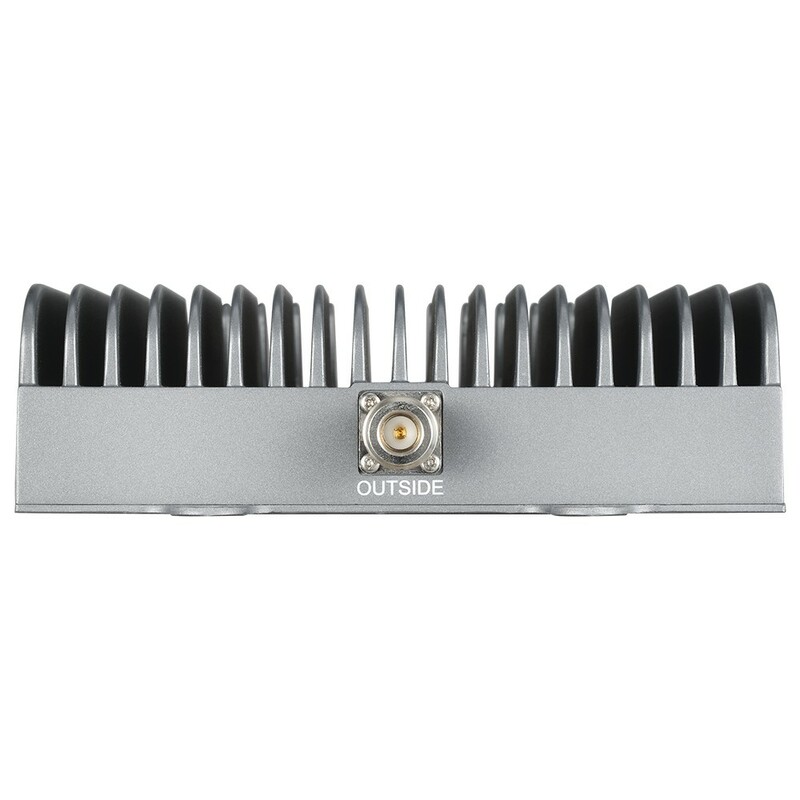 Four dome interior antennae distribute boosted reception from Fusion 5x amplifier in all directions. 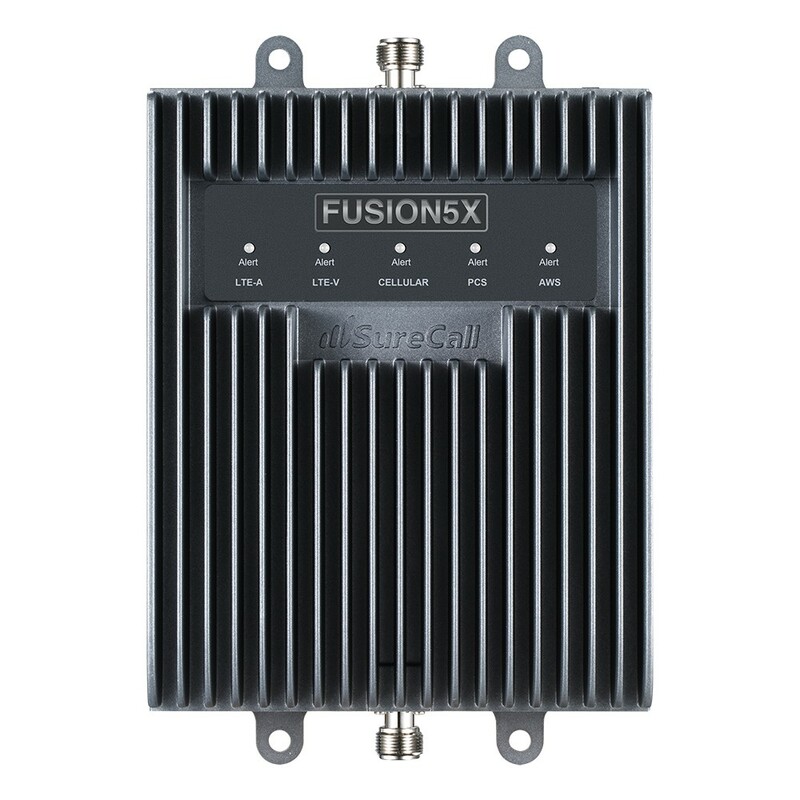 Cellphone Mate/ Sure Call Fusion 5X fills the gap between the Fusion 5s and the Force 5 models. 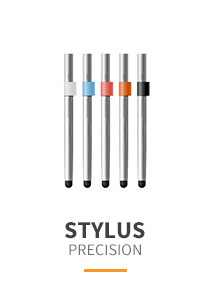 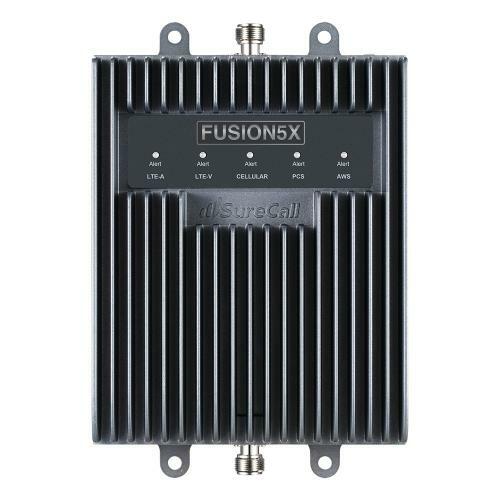 SureCall's Fusion5X is the first booster from Cellphone-Mate/ Sure-Call that does not include knobs! Instead, sophisticated software automatically controls the gain ensuring the booster is operating at max performance at all times. 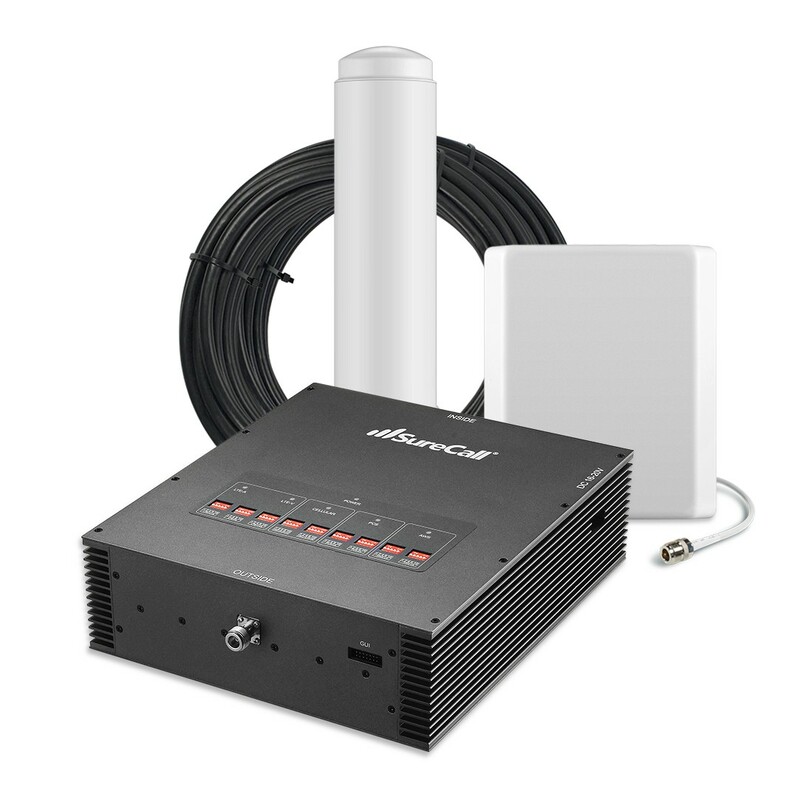 SureCall Fusion 5-X provides up to 72 dB Gain in signal reception. 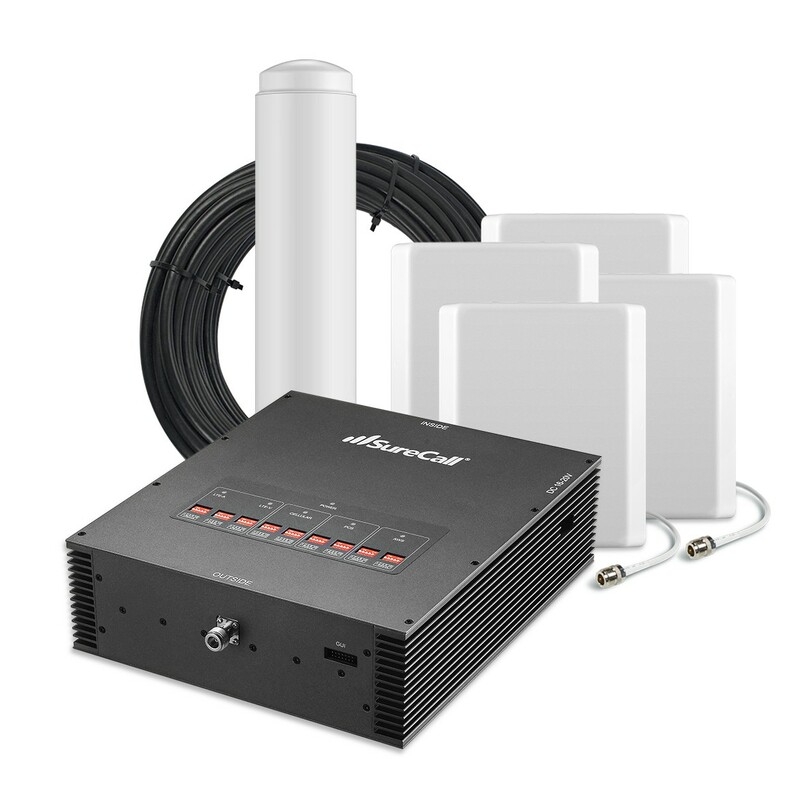 Sure Call Fusion 5 X cell phone signal booster kit encompasses and boosts signals on five bands. 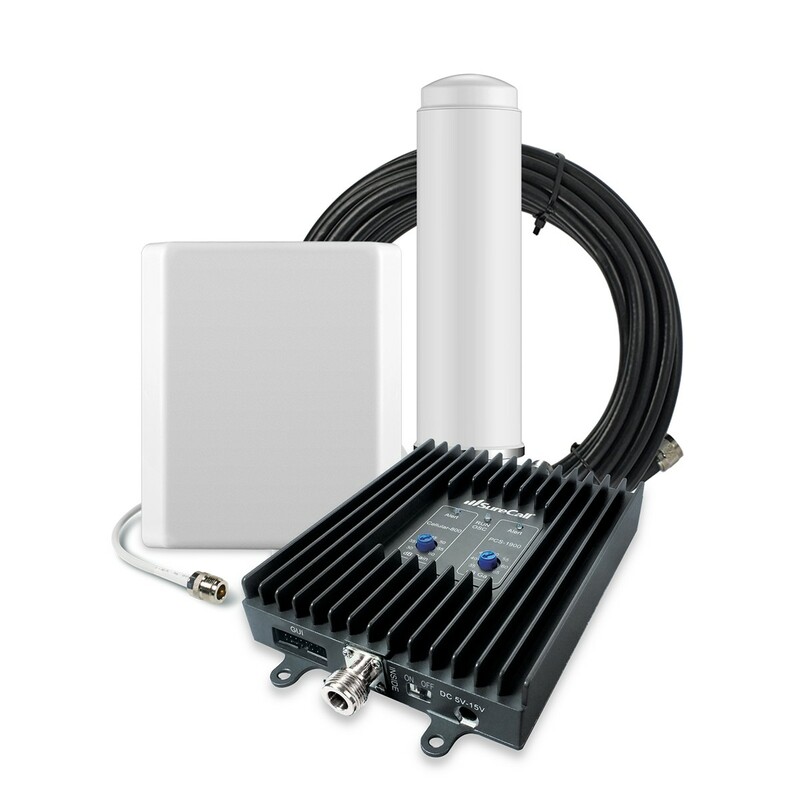 It provides up to 20,000 square feet of coverage. 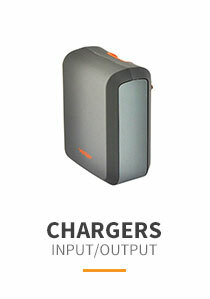 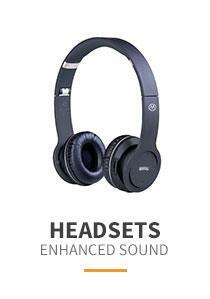 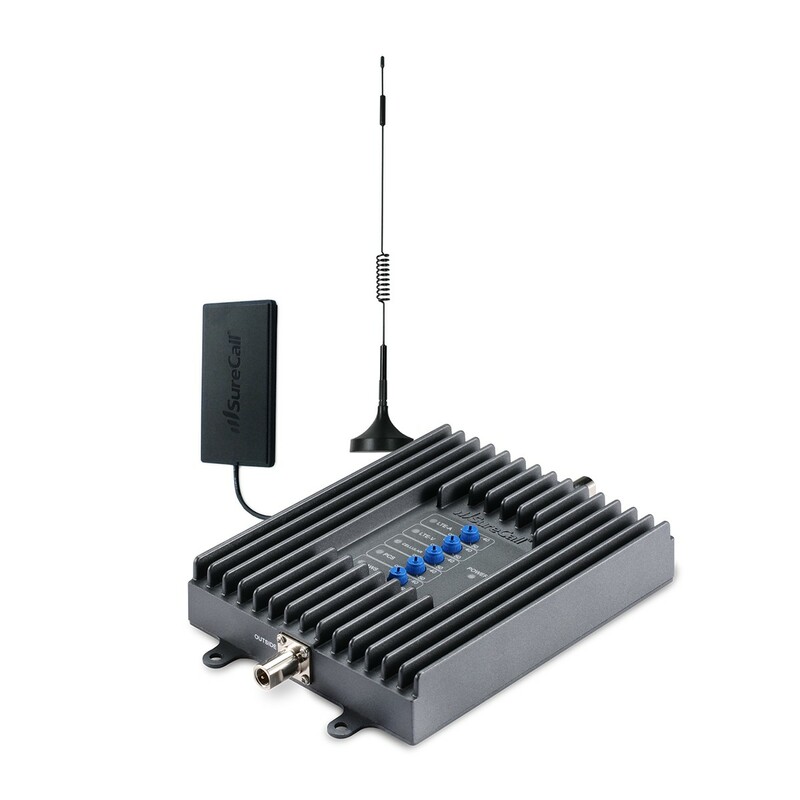 It boosts reception for all North American carriers voice, text, 3G, and 4G LTE signals. 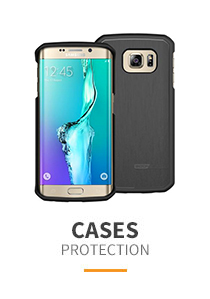 USA wireless carriers include AT&T, Verizon, Sprint, and Tmobile. 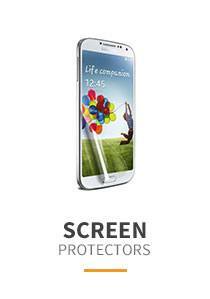 Canadian mobile carriers include Rogers, Telus Mobility, and Bell Canada. 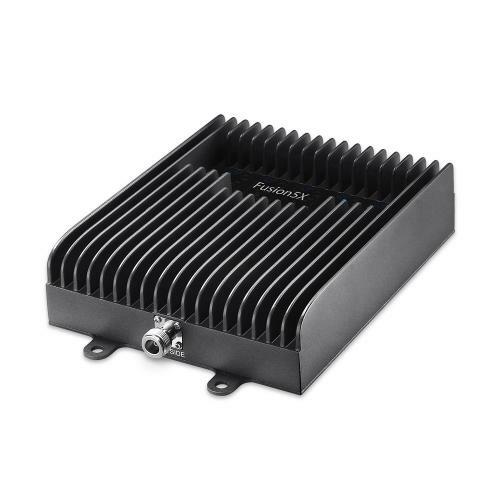 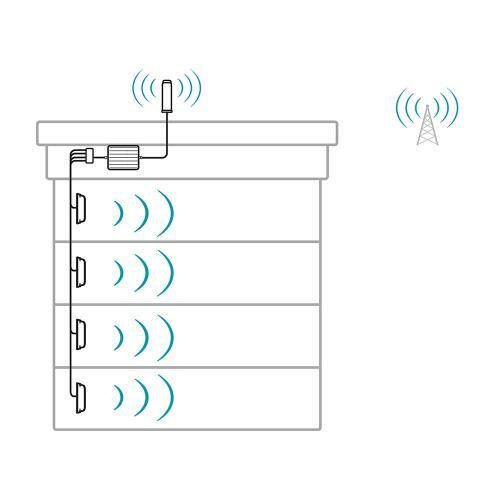 It is very reasonably priced to boost maximum possible area for lowest cost per square foot when compared to DAS (Distributed Antenna Systems). 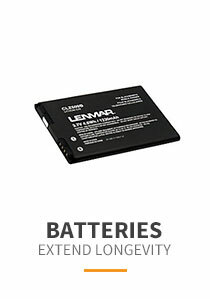 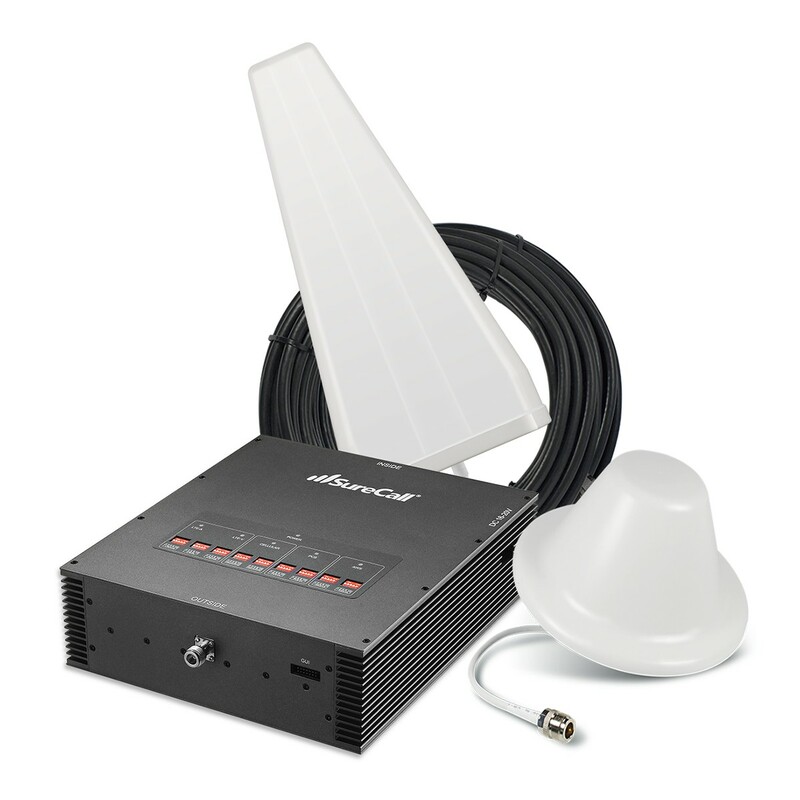 It is compatible with Sentry Remote Monitoring System. 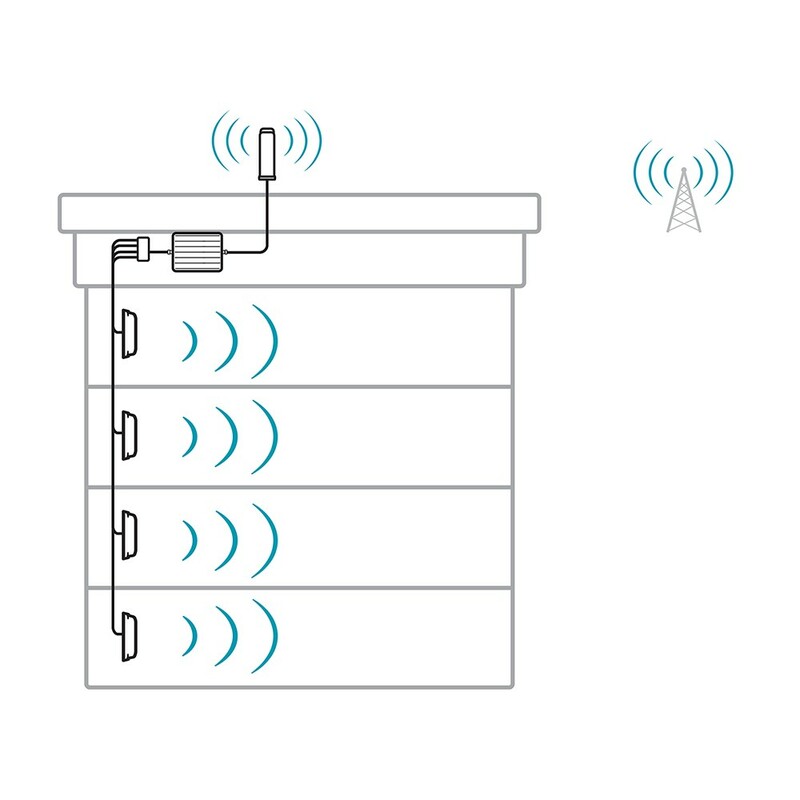 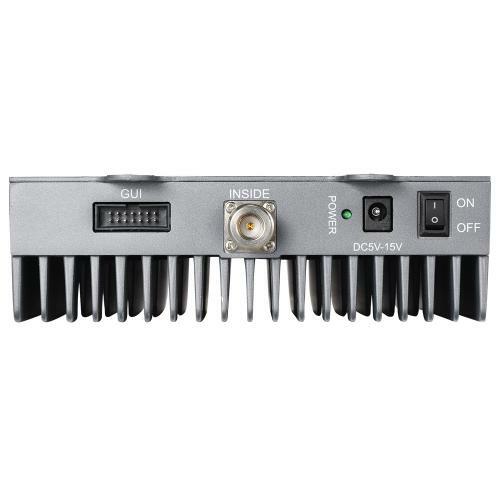 It boosts reception to up to 15 simultaneous users or mobile connections. 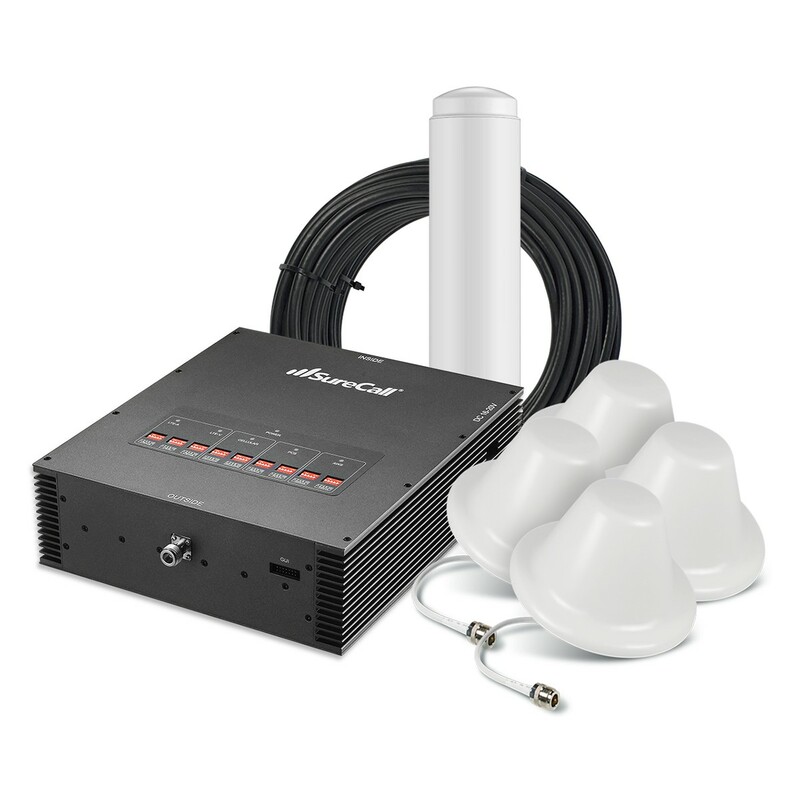 This powerful amplifier Kit includes installation hardware and parts that include five 75 feet and one 30 feet lengths of SureCall SC-400 low loss coax cable, 4-way splitter, outdoor Omni antenna and four indoor Dome antennas.